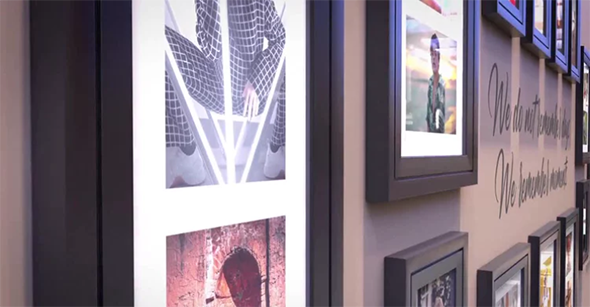 Wall Photo Gallery is a stunning After Effects template with beautiful looking pictures frames that stylishly reveal your media. This template contains 19 media placeholders and 2 editable text layers. A fantastic way to show off your portfolio, sports, fashion, traveling, vacations, friends and family photos. 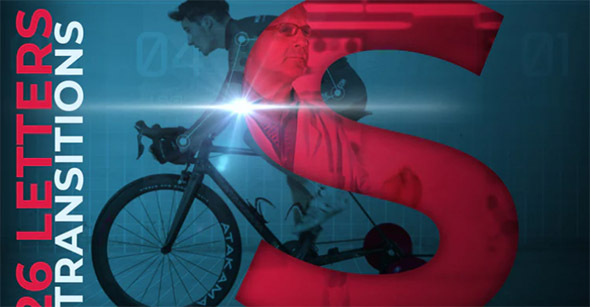 Impress your audience with this visually appealing and attractively animated AE template. No plugins required. 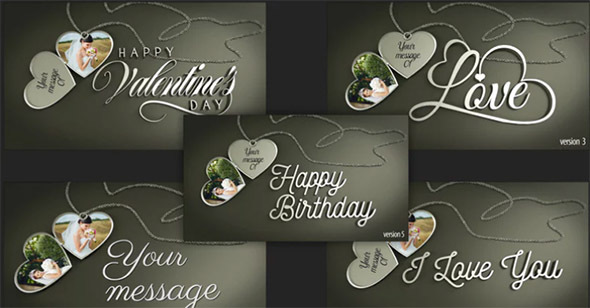 Heart Pendants And Messages is a dynamic After Effects template with a stylish design. This template contains 2 media placeholders and 3 editable text layers. A great way to show off your romantic moments, special occasions, friends and family photos. Impress your audience with this clean looking and creatively animated AE template. No plugins required.